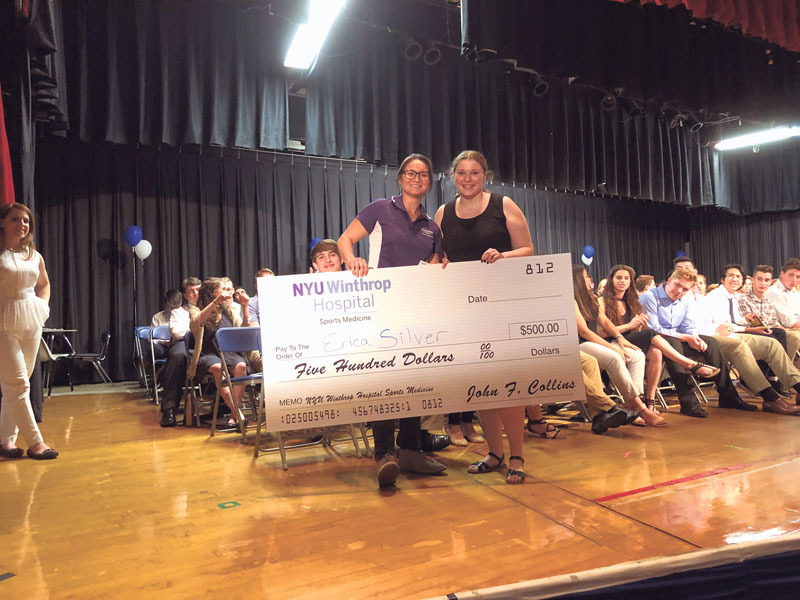 For the sixth consecutive year, NYU Winthrop Hospital’s Sports Medicine Program spread the wealth among aspiring Long Island students, awarding scholarships to high school seniors who planned to pursue college programs in healthcare or related fields. Included in the mix of recipients was Erica Silver from Plainview-Old Bethpage John F. Kennedy High School. Ten scholarships were awarded in total, each for $500, with the annual scholarship program intended to help promote and inspire the next generation of healthcare providers. 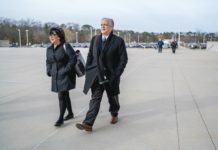 The scholarships involved 10 high schools that are among those that NYU Winthrop partners with in providing Athletic Trainers to the schools’ sports teams. The Sports Medicine scholarship committee asked potential recipients to explain, via essay, how athletics played an important part in their goals for future contributions in healthcare. Potential recipients were also required to have a GPA of 3.0 or higher. NYU Winthrop has the largest hospital-based athletic training program on Long Island. Athletic Trainer services include community outreach on injury prevention and concussion clinics, health promotion, hydration and nutrition advice, clinical examination and diagnosis, acute care of injury and illness, therapeutic intervention and more. The NYU Winthrop Hospital Sports Medicine program provides orthopedic diagnoses, treatment and rehabilitation for a wide range of injuries to help get athletes back on the field safely and quickly. The program is renowned for the expertise and exceptional skill of its professionals, with the program open to patients of all ages from young students to senior athletes. To learn more about the athletic training program and future scholarship opportunities, call NYU Winthrop Sports Medicine at 516-663-1054 or visit www.winthrop.org/sports-medicine. 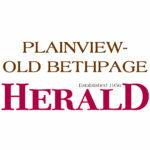 Since 1956, the Plainview-Old Bethpage Herald has faithfully served its community as a trusted source for local news and community events.